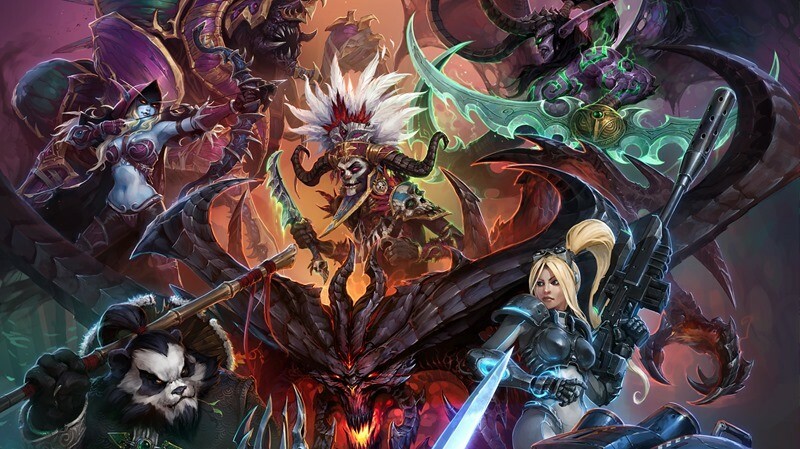 Blizzard’s Heroes of the Storm MOBA is pretty much fan fiction made real. You’ve got heroes and villains from all across the Blizzard Universe, joining forces to hit one another really hard. Or something with towers and map defense. I’m not really that big on the MOBA scene, but the game still sounds kinda cool, and having the chance to ride a pony into battle as a prime evil will always be a great draw for me. Right now, Heroes Of The Storm has 33 characters available. And Blizzard isn’t ready to stop adding new units anytime soon. We’re adding them as frequently as we can, and we’re going to keep adding them as frequently as we can, even after launch. What you’re seeing now is not a burst of speed prior to launch. This is the pace that we’re hoping to continue developing at going forward. We’re gonna add game modes, we’re gonna add new heroes, we’re gonna add new battlegrounds. Our goal for this game is to communicate with our audience to the best of our ability that you haven’t seen anything yet. We don’t want this game to become stale. We do not want this game to become repetitive. We want this game to constantly evolve. Right now, Heroes Of The Storm is in a closed beta, with no actual release date to be 100% confirmed yet. In other words, Heroes Of The Storm will be done when it’s done. Which is hopefully after they add Deckard Cain to the main roster, so that I can get debuff opposing players by forcing them to stay awhile and listen to me ramble.